I can't believe I have almost 180 subscribers to this blog and over 400 subscribers on youtube. How amazing!!! Thankyou to you all! Wowza!! Thankyou readers! What a marvel! Can't wait for your input and comments. So, just a quick update on "smile embouchure" as a topic (and for new readers joining us, the "smile embouchure" is not recommended on flute because of the thin, airy, shrillish tone quality). Here's the new and improved drawing samples of embouchure pictures with English text describing the finer details of why smiley-embouchure tends to make the flute tone airy, spread, whistley, and in general, not a good flute tone. If subscribers want to have a copy in pdf, please go ahead and print one from this file: Lazzari's embouchure drawings & text in pdf. For those who missed the "smile embouchure and why it doesn't work" there's an earlier post on that here. And, there's my own video on jaw jutting from a post several days ago as well, of course. Comments and more detail from teachers and players are welcome! 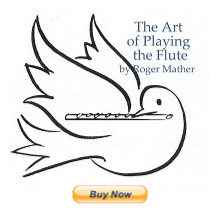 Best, and hope this catches us all up with new and useful information for flute students and their developing embouchures.